Nick grew up on a farm north of Galva, Iowa, the son of RoxAnne and Jon Jensen. He graduated from Galva-Holstein High School in 1998 and from the University of Iowa in 2003 where he was a four-year letter winner as a pitcher on the baseball team. He went on to further his studies at Kansas City Kansas Community College where he earned his degree in Mortuary Science. Nick is involved in the Correctionville Chamber of Commerce, Kiwanis, Holstein Town and Country Club Board, a member of St. John’s Lutheran Church in Galva, coaches t-ball, and is a member of the Iowa Funeral Director’s Association where he is currently serving as District 5 Governor and the National Funeral Director’s Association. In his spare time, Nick enjoys the outdoors, any sporting activities and spending time with his family. Sara grew up in Camanche, Iowa, a small town on the Mississippi River, the daughter of Rhonda and Kevin Meyermann. She attended Camanche High School and graduated in 1998. Sara attended the University of Iowa and played volleyball, then continued on to play volleyball for a short time with the Olympic Training Team. Sara earned a B.S. in Leisure Studies and a certificate in Entrepreneurship, and then became a Certified Therapeutic Recreation Specialist upon graduation. Sara worked as an Activity Director for the Good Samaritan Society in Laurens, Iowa before having children. Currently Sara enjoys working from home while caring for the couple's two children. She is in charge of the personalization of the funeral service (folders, thank you's, videos, etc.) as well as working visitations and funerals. Sara is active in Kiwanis, Galva-Holstein Scholarship Foundation, Moms For The Park, a member of the Stubbs Memorial Library Board, and a member of St. Johns Lutheran Church in Galva. Nick and Sara met at the University of Iowa and were married after graduating from college. They lived in Sioux Rapids, Iowa and Cordova, Illinois prior to purchasing Barker Funeral Home in January of 2008. Nick, Sara, daughter, Rowan and Ryan and son, Raif are currently living in the old funeral home in Holstein. The family enjoys golfing, fishing and camping together. They are Iowa Hawkeye fans and enjoy watching the Hawks in whatever sport they are playing. Homer "Pete" Stines, was born and raised in Correctionville, Iowa. He entered the Air Force at McGuire Air Force Base in New Jersey. While in New Jersey, he met and married his wife, Marie. After the service the couple moved back to Correctionville for a couple of years and then moved to Holstein. Pete ran the filling station, Standard Oil, in Holstein and then started a shoe repair shop in Holstein in 1973 and retired from that business in 2001. Pete has worked as a part time employee in the funeral home business since 1973 when he started under John Barker at Barker Funeral Homes. He continued working for Karl Barker, and is still working with the funeral home today. Pete and Marie have four children, Pete Jr., Bev, Mark and Todd, all who live in the surrounding communities. Jim Cunningham joined Nicklas D. Jensen Funeral Homes in January of 2011. He is a veteran of the United States Air Force, and commander of the V.F.W. Post 1750 in Correctionville. 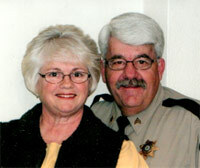 He retired from the Woodbury Country Sheriff's office in January after 31 years of service. 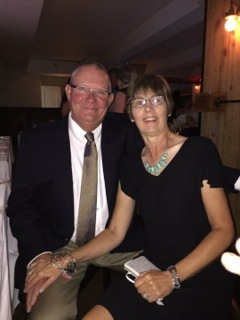 Jim's wife Lana is a 27-year employee of the United States Postal Service, and has been Postmaster in Cushing since 1985. They have two sons, James and wife Laura of Shelby, Iowa, and Jon and wife Gretchen of Minden, Iowa. They also have seven grandchildren, and spend their leisure time attending the grandchildren's sports and school events. 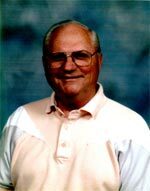 Owen grew up in Galva and graduated from Galva High School in 1972, then attended Iowa Lakes Community College in Emmetsburg, Iowa. After community college, Owen worked for Hultgren Implement in Ida Grove, Iowa. In 1974, Owen married Marcia Radke. They have one daughter, Lindsay Bechtold of Kansas City, Missouri. In 1986, Owen was hired by the Galva-Holstein CSD as their transportation director/mechanic. In 1999 he joined the Iowa Department of Education as a District Mechanic/School Bus Inspector. He retired from the D.E. in 2012, and at that time joined the Iowa Pupil Transportation Association as its Executive Director. After three years he resigned as director of that association. Owen started working for the Nicklas D. Jensen Funeral Homes in September 2015. He enjoys golf, outdoors and family, especially spending time with his daughter, son-in-law and grandson.